​​Special Kids Bexhill logo clothing is now available to order, please contact us if you would like to order as we need to make sure we have a big enough order. 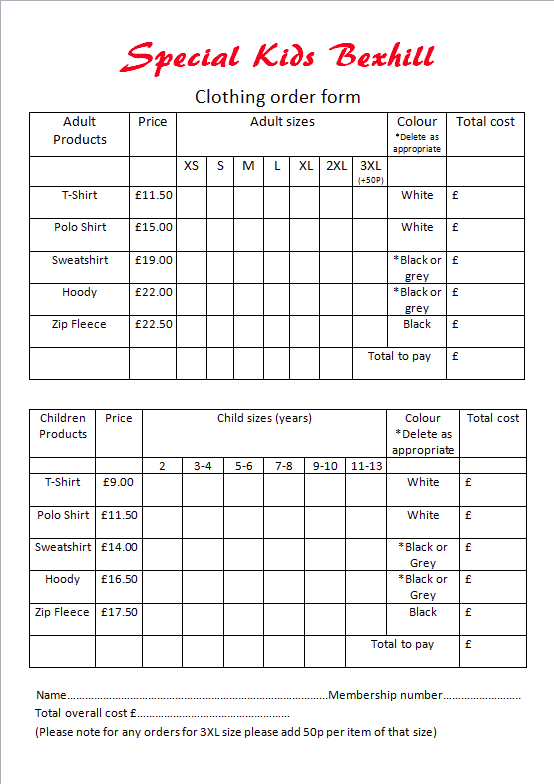 When we have confirmed we can place an order please click on the order form opposite to open it in a new window, print it out and fill it in. ​​All garments are embroidered front and back. Putting your name, membership number and the word T-shirts as the reference.